Sleep on the summer solstice? Home/Blog/Sleep on the summer solstice? The summer solstice is the longest day of the year when that glorious sun shines on and on. After dinner, you can play capture the flag, ride your bike, walk or talk on the porch for hours. But how to sleep during long summer days? Trickier for sure. To stay healthy, sharp and creative adults need 7-9 hours of sleep every night. 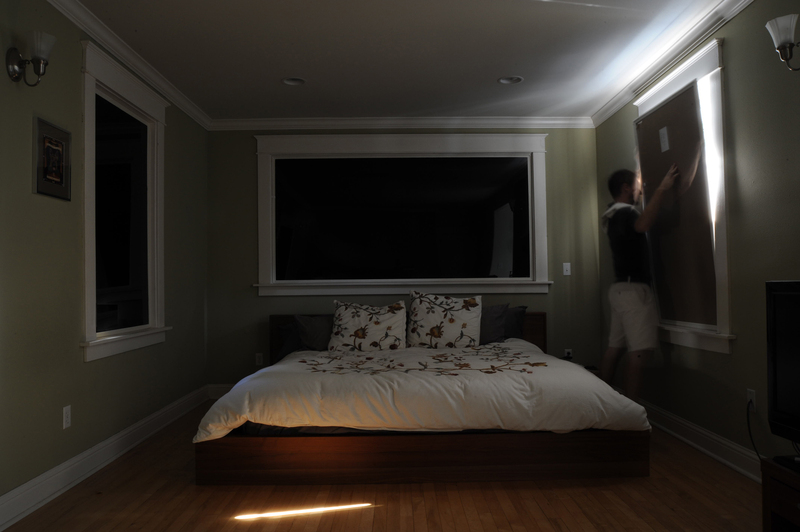 If you’re battling the late night and early morning sun with these long summer days, Indow Windows blackout panels block all light and make a room super dark. (Like I-can’t-see-my-hand-in-front-of-my-face dark.) They’re perfect for shift workers who might as well be experiencing the summer solstice every day since they’re always trying to sleep when the rest of the world is awake! They hush a room too, quieting all early morning sounds be they crows, traffic, garbage trucks or troubadours. Dark, quiet rooms can help improve a person’s sleep tremendously. But other things can help too. Read more on healthy sleep tips from the National Sleep Foundation. When I’ve been asked to re-purposing an extra room for a home theater with separate projector and screen, the necessary “blacking out” of a room can get costly… But with Indow Windows, not only is this easily achieved, it also does two other important things: dampening of outside noise to the inside, and of movie noise to the outside! I am now specifying Indow Windows for all such projects. Hi Rademes, Thank you for your comment! We are certainly happy you have found a great purpose for Indow Windows in your home theater. We have an upcoming affiliate program you may be interested in if you would like to spread the word about Indow Windows for home theaters. Email me at [email protected] if you would like some more information. So these absolutely block all visible light? Thinking of using some to blackout some windows in a photography darkroom. Forgot to ask- do they absorb a lot of heat? The windows in question face west and can get very warm.